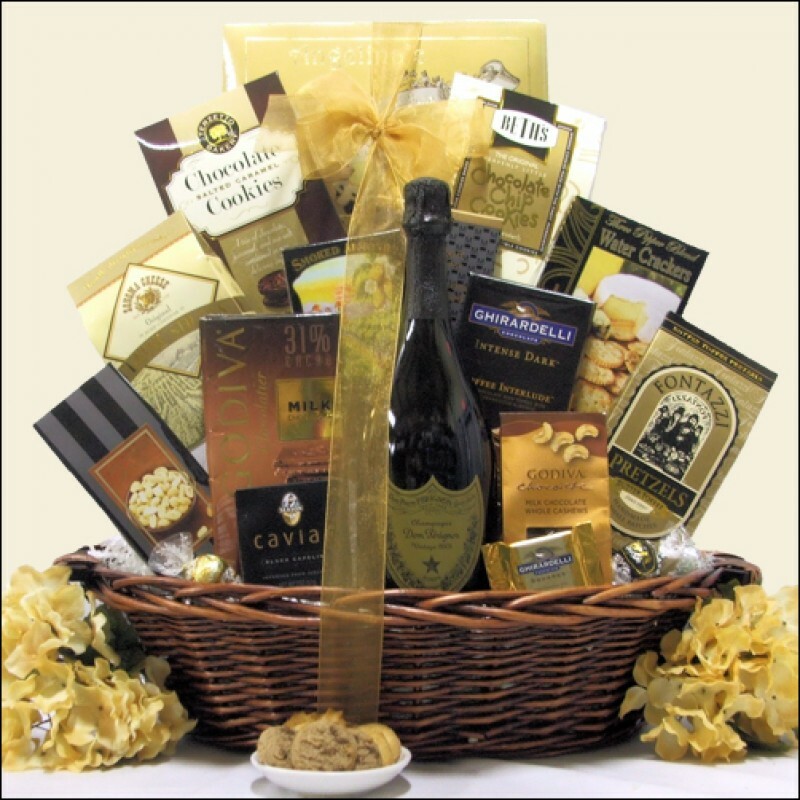 Show them how special they are by sending this lavish Champagne and Gourmet Foods Gift Basket. The 'Majestic Elegance' gift basket lives up to its name by featuring a bottle of Dom Perignon as its centerpiece. Surrounding the beautiful black bottle is upscale gourmet treats including Camembert Cheese Spread, Capelin Caviar, Three Pepper Blend Water Crackers, Ghirardelli and Godiva Chocolate plus so much more round out this superb choice for any extra special occasion. ...in a Oval Dark Stained Gift Basket with Side Handles. Got this gift basket for our entire company as Christmas/New Years gifts. They were blown away by all the items! Looks great all put together, and Li is very helpful.